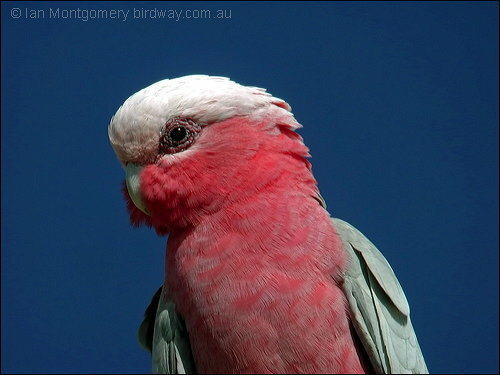 A cockatoo is any of the 21 species belonging to the bird family Cacatuidae, the only family in the superfamily Cacatuoidea. Along with the Psittacoidea (true parrots) and the Strigopoidea (large New Zealand parrots), they make up the order Psittaciformes (parrots). The family has a mainly Australasian distribution, ranging from the Philippines and the eastern Indonesian islands of Wallacea to New Guinea, the Solomon Islands and Australia. The name cockatoo originated from the Indonesian name for these birds, kaka(k)tua (either from kaka “parrot” + tuwah or “older sister” from kakak “sister” + tua “old”).